PRIVATE JETS ARE awesome. They get the well-heeled from place to place at altitudes that put them literally above the hoi polloi. Their interiors are so ultra-luxe, they come with fake fireplaces. But while airborne, you still know you’re inside a plane. A really fancy one, sure, but it doesn’t give one a sense of occasion, a more significant break from the way most of us get around. If a concept from Daimler (which owns Mercedes) comes to fruition, though, that could all change. 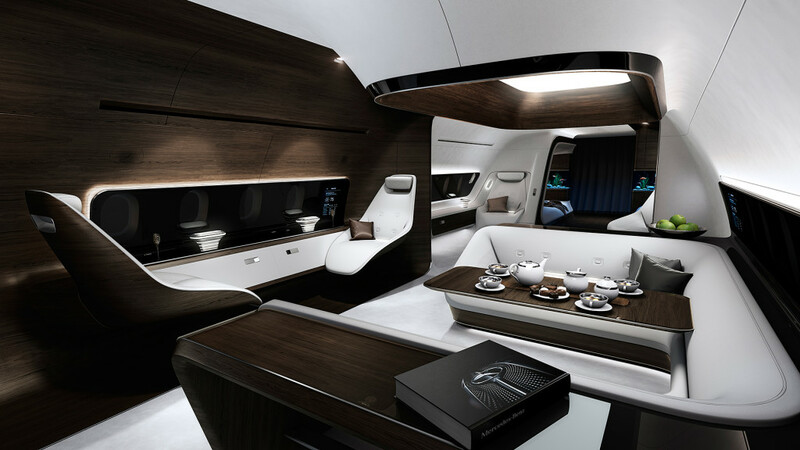 via Mercedes Dreams Up a Swanky Interior for Private Jets | WIRED.